NAF-1092W-72. Size 71/4. 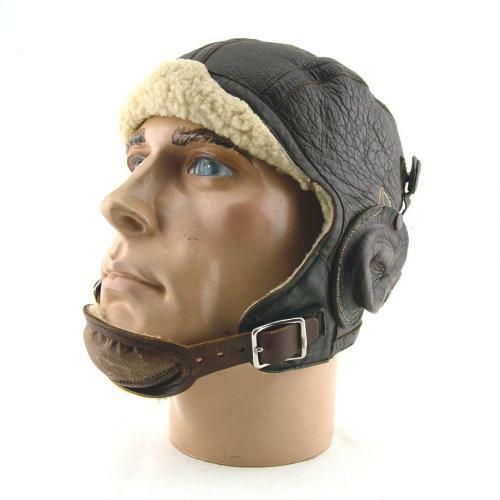 Shearling leather helmet with fold down 'peak', fleece lined chincup and leather receiver earcups. This early variant has goggle straps fitted with 'lift-the-dot' fasteners. The leather is in very good supple condition. Some wear to central rear strap and lacks the face-opening adjustment cords. A couple of the earcup poppers have pulled away and have soft verdigris deposits. Good '+' / very good used overall. Stock code H21390.